Other segments are more like NPR stories--unique perspectives on largely uncovered topics that aren't time-sensitive. You'll get in-depth looks into developments in medicine, law, architecture, etc., that otherwise wouldn't get on your radar unless you were in that profession. And, the writers incorporate the "larger questions" in stories focused on recent events. Like Malcolm Gladwell's recent account of a playwright who plagiarized material from a former article written by him. He parlayed his personal struggle into a good summary of legal and ethical positions on the use or development of one person's idea by another. I have grown to look forward to reading the Fiction selection each week. Sometimes I don't like the piece, but I enjoy getting the chance to read writers that I normally wouldn't and those that I normally would. 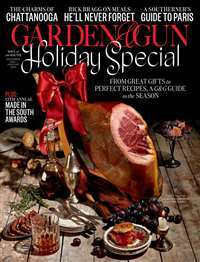 Additionally, the magazine has added more dedicated issues--most recently the "Food" issue, in addition to standbys like the "Style" and "Fiction" issues. I loved the "Food" issue, especially one writer's account of the search for truly authentic pasta that involved a work night in Mario Batali's kitchen and a trip to Italy. I enjoy the balance of hard news, balanced interest stories, and arts that the New Yorker provides. I began my subscription to get a different perspective than what I got from local Southern news, and I keep it for the same reasons and many more. I haven't lived in the New York area since high school, but each week when my New Yorker comes I gleefully pick it up and begin reading. First the poems, then the Talk of the Town, and then... who knows? I am never disappointed. 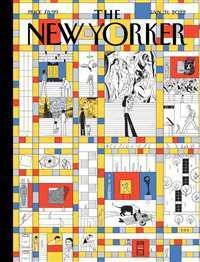 The New Yorker is essential if you live in New York City, visit frequently or have a vested interest. "Goings On" is perhaps the best collection of reviews and listings available for all things cultural (high and low) in the City. For those who never step foot in the Empire State, never mind Gotham itself, you can skip right to "Talk of the Town". In this case, the "town" in question is the great global village, Planet Earth. The coverage starts off fast and furious...the first entries contain a few hundred words. Each subsequent story is given more space as the complexity of the stories themselves deepen. This may be one of the finest editorial and layout conventions used anywhere in American print. For as long as I can remember, and for years before that, The New Yorker has offered intelligent writing (and clever cartoons too) aimed at thinking readers who are assumed to meet a mininum cultural literacy standard. For those of us exiled in the distant territories, it provides hope in the form of 48 doses each year of civilization that remind us of our roots and help prevent descent into barbarism. I think of the regular reading of The New Yorker as a form of therapy to counteract the base influences of People, In Style, Time and similar magazines, each written in a style that presumes a degree of idiocy among its readers. For anyone willing to give The New Yorker a chance (assuming that its current subscribers won't need to read this review), I think that exposure to writers like John McPhee, Ken Auleta, Roger Angell and others, plus doses of a very urbane point of view, can help counteract some of the truly evil influences of modern society and provide a standard of reference that once was common but which has passed us by. The New Yorker is funny. When you first subscribe it is like joining a snotty secret society with rights and rituals all its own. You've got to want to be a New Yorker reader when you first approach the magazine. Your right of passage is all the time you'll waste reading through every entry in the "Goings on about Town" section. You'll puzzle at 3/4 of the cartoons and forgive the other quarter for being only obliquely funny. But you'll forge ahead because you must join the cognoscenti. Soon enough, you'll be one of the elect. You'll skim over "Goings on" on the way to Talk of the Town, where you'll read only the first two pieces unless the title of a later one entices you. Then page-by-page you'll survey the cartoons (which you adore by now!) taking note of articles you'll want to come back to. If a movie review at the back grabs you, you'll dive straight into it and finish off with The Back Page where big laughs surely await. Then comes fine tooth comb read!ing which usually begins for me with Shouts and Murmurs - a light entrée into the meatier sections of the magazine. Sitting down with the New Yorker once a week is a pleasing routine, a cultural badge all at once of honor, and a way to sniff out elitist pseudo - intellectuals like yourself in a crowd. You can say things like "Did you see what Hertzberg was up to this week?" and know immediately if somebody's an initiate. If you want to seem hip, literate, in the know, subscribe to the New Yorker. You'll never read 3/4 of it but will never regret it either. When I started taking this magazine, my roommate asked me, "But isn't that for New Yorkers?" I answered her saying that, yes, there was some information for New Yorkers but that the majority of the magazine could be read by anybody. My high school English teacher, the best teacher I have had, recommended this magazine to our class even against the wishes of most of our parents, who were largely very conservative. I took The New Yorker my junior year of high school but then stopped taking it because I rarely had enough time to read it. Now I am taking it again, vowing to *make* time to read it. The content is exceptional. The writing is better even than most books. And of course the cartoons are quite witty. Everyone should take this magazine, especially anyone working to improve their education and reading and writing skills. I originally wrote a review here after only subscribing to the New Yorker for 6 months. Now it's been 12 and I can report that the more I read it the more I get from it. I just renewed my subscription for 2 years. While I don't have any familiarity with the way the magazine had been edited prior to Remnick, word has it his approach is more news-driven than issues or cultural piece-driven. To some extent this is true, however there is still that certain, New Yorkerness about it that probes deeply into the current issue with attention to the human and cultural aspects of it. I read the New York Times for news. I read the New Yorker for context. Remnick's choices are also extraordinarily prescient. In many cases, the in-depth profiles the New Yorker does on people, places and situations tend to become leading stories in major dailies down the road. In this age of playing catch up with what's going on in the world and trying to read through spin and deceit, the New Yorker's lead-of-the-pack approach offers something akin to honesty. The thinking is that if they are out ahead with a story, they can't be spinning someone else's news. Some critize the New Yorker as a middle-brow publication. These critiques tend to come from the far left, where anything short of purist Marxism is frowned upon as being dilapidated drivel. The New Yorker is always articulate and much more global in its coverage than the namesake would suggest. Week after week the New Yorker churns out a beautiful and timely journal of the people, arts, events and lives we are all witness to. At the heavily discounted yearly subscription rate, this is money well spent. Left Wing? You must be kidding. Along with the New York Review of Books, The New Yorker is a must weekly read for me. I read it, cover to cover except for the ads, for 45 minutes to an hour each night before sleep. Roger Angell on baseball is the best; Lane and Denby tag teamming on the movie reviews; Joan Acocella on dance (Dance! I've read more about it than I've ever seen), and the list goes on. Left wing? 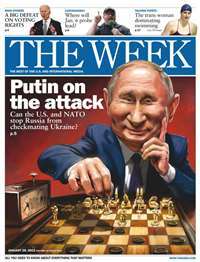 Several reviewers here said the magazine is left wing. This is hilarious. Obviously these people have never read a left wing maqgazine, and such comments only illustrate the extent to which the political spectrum in the US has shifted rightward. For left wing try: The Nation, The Progressive, Dissent, or Monthly Review. The New Yorker is as middle brow bourgeois as it gets. I got to read this magazine in my local library where you can actually check out magazines and keep them for a week. Soon decided to subscribe it instead of running to the library everyweek. What I like about this magazine is the time it takes for me to finish one article is about the same amount of time it takes me to get tired and want to go to sleep after reading. It covers a variety of issues, such as world politics, health, environment, art, you name it. One thing I need to point out is, English is my second language, so it also helps me improve my vocabulary. And I totally agree with one of the previous reviews, that is you never get to read 3/4 of its content, one thing is certain for me, I never read its fictions. You don't have to live in New York to enjoy the New Yorker. Most of the content in the New Yorker can be applied nationally. The feature articles in the magazine have a depth, research, and accuracy that can not be found in other magazines. I love reading the fiction, and viewing the witty comics. Like most New Yorkers this magazine leans slightly to the left.